When there is something we want to know, we often look up to the stars. And when there is something we want to know about fashion, style and trends, we look up to the stars that are a bit closer to us – celebrities. It is no wonder their homes are lust-worthy, since they have all the money in the world. They have the best interior design experts on their pay list and to top all that, they have impeccable taste. And what do we have? Only impeccable taste, if we are lucky. If not, then we have their ideas out in the open to copy. So, if you are ready for some style theft, here are some home features that are very popular in the homes of the A-listers. Seeing a celeb (especially female) wearing the same thing twice is nearly impossible. However, that happens, and when it does, you know that she absolutely adores that piece of wardrobe. So it is not a surprise that A-listers store their clothes, shoes, bags and accessories in large walk-in closets. However, our mega stars often give us a bit more than we expect, so their walk-in closets are not just places to store clothes, they are clothes sanctuaries. Max Azria had a walk-in closet with islands in the center in his former apartment, but so do people like Peyton Manning and Kendall Jenner.If this is too extensive of a project for you, you can upgrade your walk-in closet with a stool for your favorite pair of shoes or your jewelry in the center of the storage. 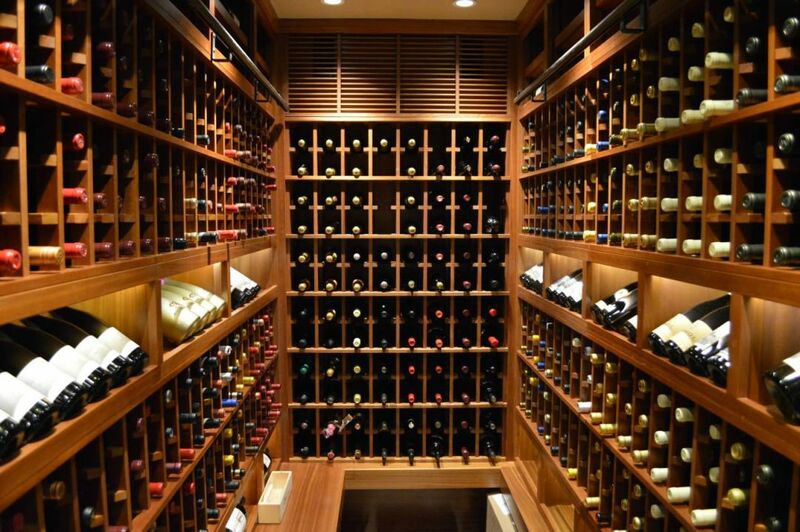 Wine cellars are very popular in houses of celebs such as Kevin James, Oprah and Ashton Kutcher. And while many of them have enormous cellars and even true wine mines, you can get by with a wine-friendly shelf in one corner of your basement. That wine isn’t going to drink itself. 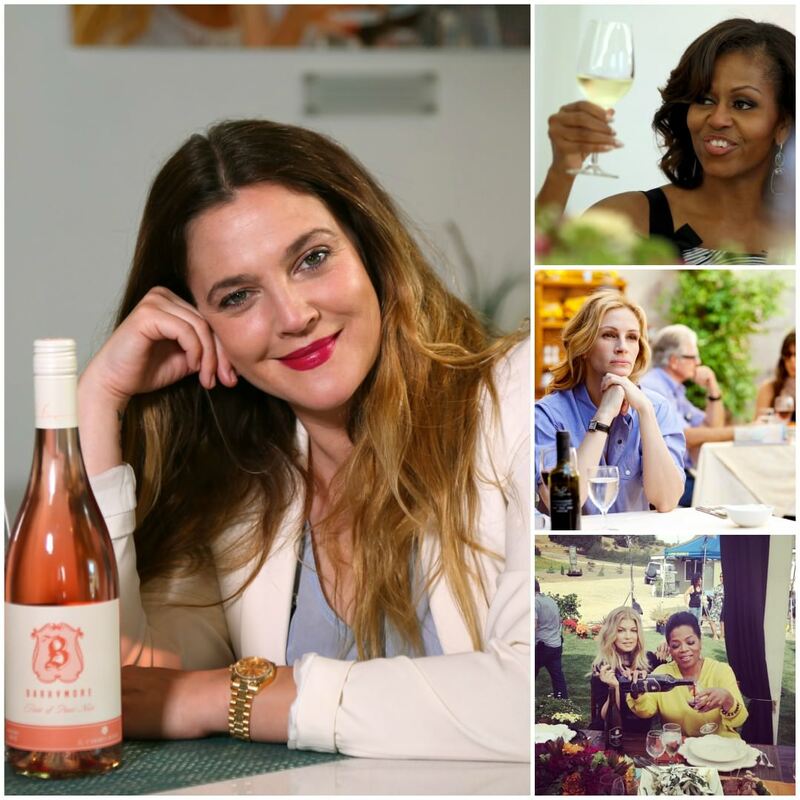 Allow Kendall Jenner, Sheryl Crow and Emily Blunt to show you what you need. That’s right – a home bar. If you have enough room in your living quarters or in your basement/attic, this can be a fun addition. If not, you can make a small home bar squeezed into a small part of your house. Nobody understands pleasure better than celebs, which is why most of them have equipped their bathrooms with the essentials needed to bring them closer to spa ambiance. 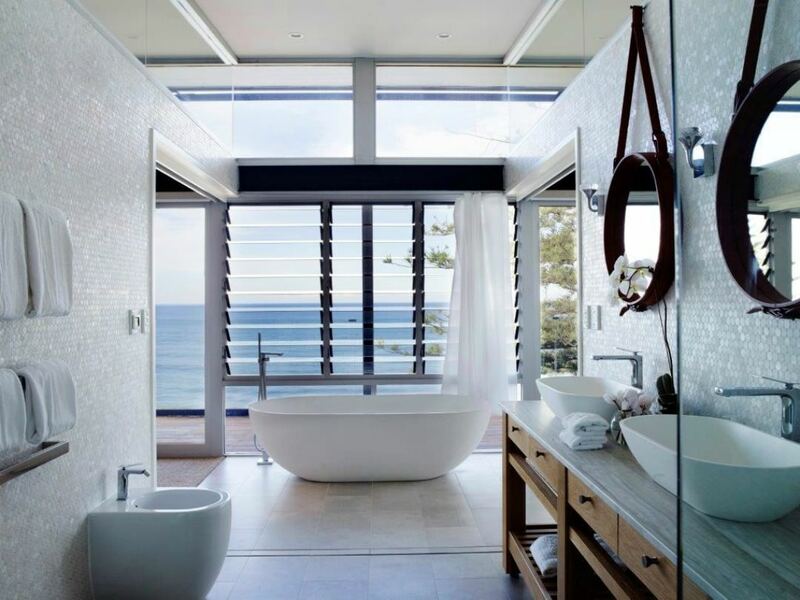 Stylish stone baths are the main characteristics of such bathrooms. Some other desirable features are a great view (large windows overseeing a beautiful landscape), large mirrors, statement chandeliers, neutral color palettes, double basins and smart tech. To achieve something similar on a shoestring budget, you can paint the walls white or in neutral hues (e.g. grey or sand), re-grout the tiles, change the lighting fixtures and include a large mirror. We often see celebs giving interviews in their kitchens, and the one feature that stands out the most is the farmhouse sink, a resident of Jennifer Lopez’s and many other homes. This is not a very expensive addition, and it is very much functional. Other features of Hollywood-worthy kitchens are clean and sleek appliances and classic neutral charm. Taking a sneak peek into a celeb’s bedroom sounds so wrong and exciting at the same time, but hey, we’re only in it for the important interior design lesson. And there could be no one better to teach us than the dame of style, Diane Von Furstenberg. Her bedroom is a dream come true, with a linen canopy, bookshelves, view to the sky and what seems to be a bedding inspired by African motifs. While it is very difficult to achieve this specific look, you can steal some ideas, like a cotton canopy in a warm neutral shade, chocolate brown linen and books inside the bedroom. We are all guilty of craving for the allure of Hollywood’s rich and famous and the star power of their homes. While we can’t literally translate their ideas and features into our homes which are not sprinkled with stardust, we can take some interesting cues and make them our own. These tips will help you do exactly that.